Admittedly, there are some big differences between News+ and Newsstand. Newsstand was very confusing. You’d subscribe to a publication in the App Store, but new issues would be delivered to the apps themselves, and they were kept in a special Newsstand folder. Users would forget about it. You’d also have to manage all your subscriptions separately, and App Store discovery was just as bad for mags ands newspapers as it still is for apps. News+ is much slicker. It’s all inside the News app, so you won’t forget where to look. Titles are also way more discoverable. News+ will get a big boost from being inside Apple’s popular News app. But the big difference is the all-in-one subscription. Pay once, read as much as you want. And the Family Sharing support is fantastic, letting you share your subscription with everyone in your home. But despite the improvements to discoverability, the easy subscription, and the excellent privacy measures, is this enough to succeed? One of the biggest problems for News+ is the news app itself. You can already read much of The New York Times, and subscribe to stories from Teen Vogue and The Atlantic, right there in the free News app. Why would you want to subscribe to a digitized print version of the same sources? During Apple’s It’s Show Time event, Tim Cook framed the declining sales of magazines and newspapers as being about price. If only you could afford more than one or two magazines, he said, you’d buy them all! I’d argue that the real reason for the decline in magazines has little to do with that. Partly it’s the cost, or course. But it’s not that magazines are expensive. It’s that they aren’t free. People won’t pay for something they can get for nothing. The other reason is that monthly publications go stale quickly. Most magazines are special-interest publications, and we’re used to reading sites like Cult of Mac for the latest up-to-the-minute news. Who buys a Mac magazine, filled with stories that are out of date before they’re even published, anymore? And the third reason nobody buys magazines any more, whether digital or paper, is that subscriptions make us feel guilty. Whether it’s an unread stack of National Geographic magazines under the coffee table, or a number in a red notification badge on app, we feel guilty about not reading our subscriptions. Perhaps this last one can be banished by News+. If you can dip into any and all magazines for one monthly fee, then the guilt factor lessens. Maybe. Apple talked up journalistic ideals during its keynote, but News+ really doesn’t offer anything new. Perhaps The Wall Street Journal can sustain itself on its share of the $9.99 monthly fee, but by itself, that won’t be enough to run a huge news-gathering operation like that. The approach taken by Apple Arcade seems way better for the future of games. Apple Arcade exists to promote quality indie games, or games that don’t fit into the existing mobile gaming revenue model (i.e. incessantly demanding yet more in-app purchases). Apple Arcade promises to pay game creators a share of the monthly subscription fee, depending on how much time people spend playing their titles. Imagine the same model for news. It would solve many problems at once. Small, indie publications would exist on an equal footing with heavyweights like the Los Angeles Times, thanks to Apple News curation. Long-form content that took months or years to investigate could exist. The only catch being that the resulting articles were compelling enough to read to the end. It may well be that Apple is actually doing this with News+, and that indie publishers will be able to take part. That would be fantastic. Magazines and newspapers would be freed from the need to chase advertisers. They would be paid according to how many people read their work. 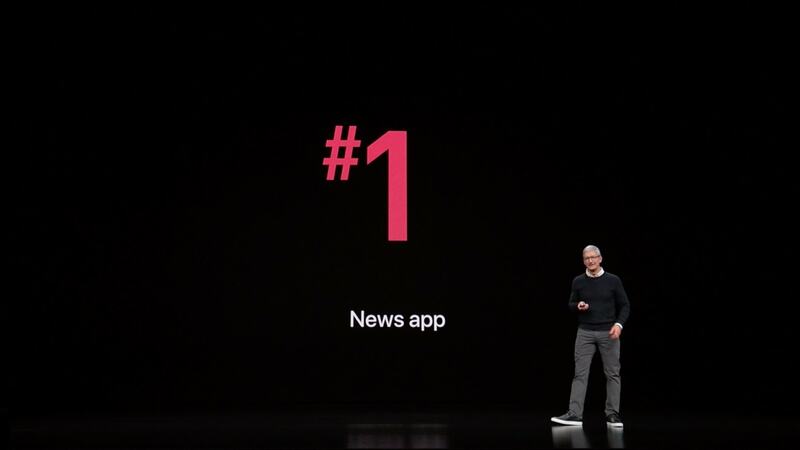 The potential audience is certainly limited — News+ subscribers are a subset of Apple News readers, who are themselves a subset of iPhone, iPad or Mac users. But for many smaller publishers, that’s more than enough. 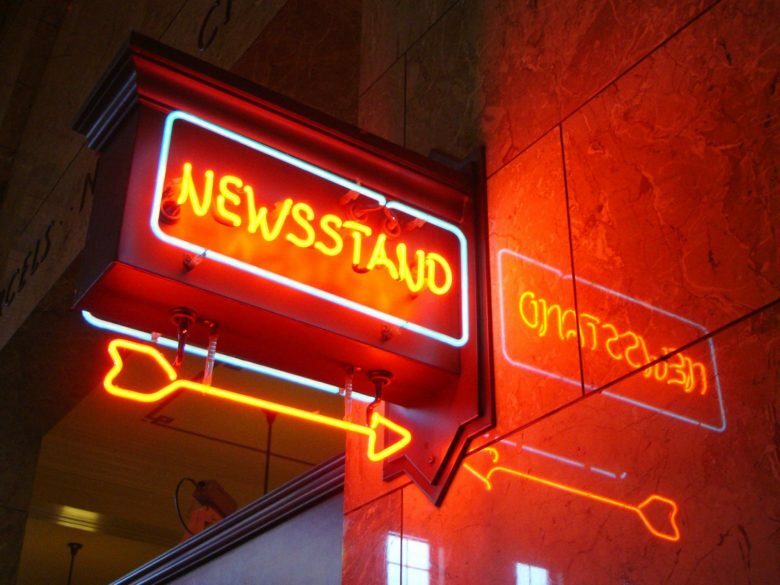 So is News+ going to save the news industry? Probably not. But it will certainly make reading news more pleasant, and more private, for those who use it. And that might be enough to make it a success.